The sea is terribly behind the times in some ways. Dictaphonefish, please. Others look more like an umbrella, a leaf, a fuzzy wire, or a simple club, which is significantly more old-fashioned than a quill pen. 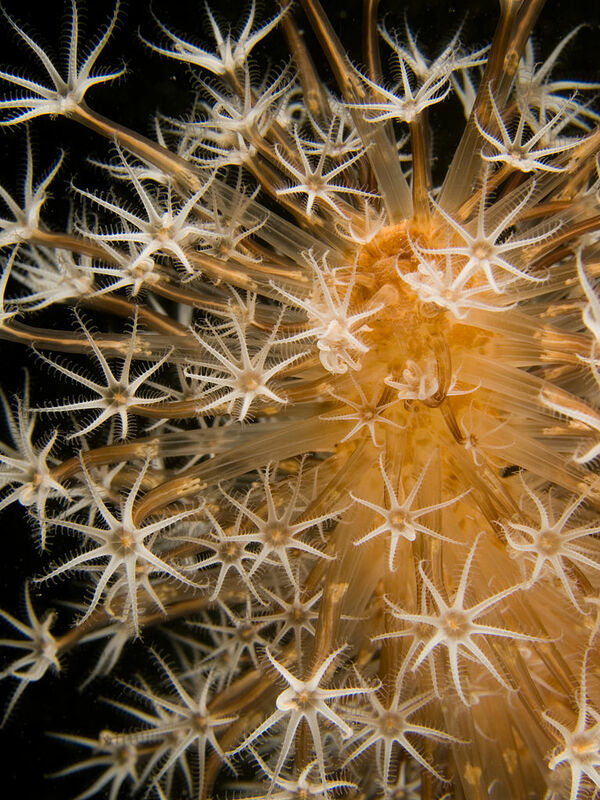 Being corals, they are colonial animals made up of lots and lots of tiny polyps, most of whom act like a tiny Sea Anemone as it catches tiny prey to eat. 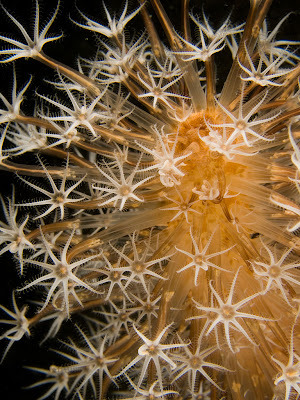 The difference is that all those polyps stand on the shoulders of a giant! The giant in question is one polyp who grew to comparatively immense proportions, lost its tentacles, and now acts as a central stalk to ensure the other polyps can use the current to get as much food as possible. 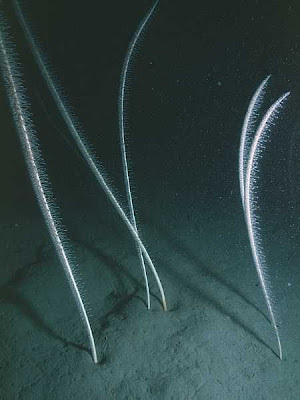 Some Sea Pens have their polyps attached directly to the stalk so they get the fuzzy wire look, others have them on the end of shelves for a fluffy feather affair. The stalk enables some Sea Pens to rise as much as 2 metres (6.5 feet) from the floor! Part of the stalk remains embedded in the mud to ensure a strong foothold. Some of those polyps don't catch their own food, which is something you can get away with when you're a colonial animal. But how on earth do they get away with being nothing but drinkers? They just drink! Taking in water at night and spitting it all out as the day dawns. I guess they enjoy themselves like a Roman with his vomitorium (as it were), but what purpose can it possibly serve? 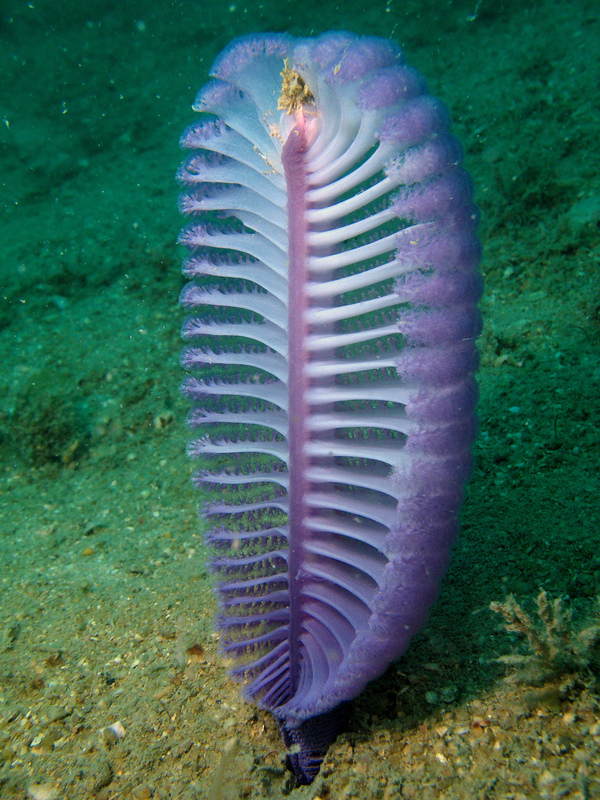 Well, while some Sea Pens have a rigid, calcerous rod in their stalk, others spend their days as a flabby mess hidden beneath the muddy seafloor. 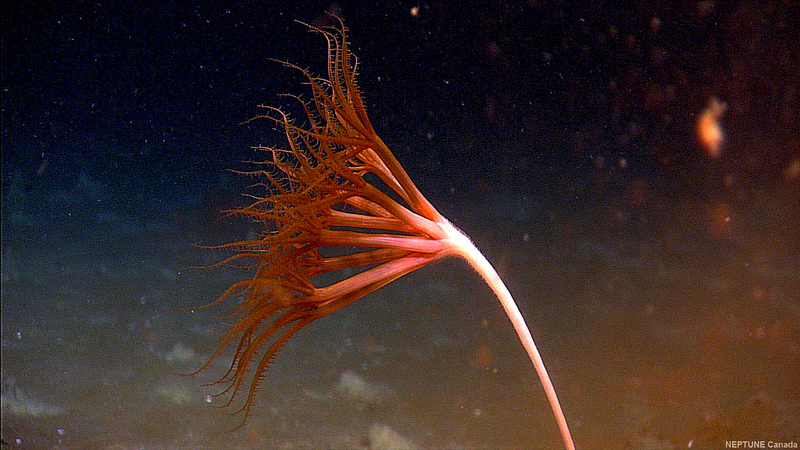 At night, certain polyps called siphonozooids begin to take in water so that the body of the Sea Pen inflates and emerges from the ground, ready to feast in darkness and safety. Some Sea Pens live in the perpetual night time of the deep, others live not far from the ocean's very surface. 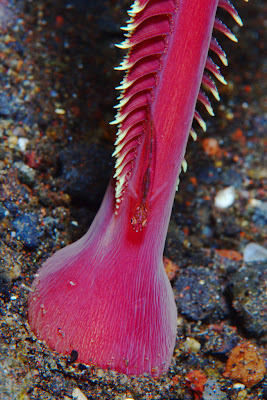 All they need is a current strong enough to bring them food but not so strong as to uproot them, and an adequate amount of soft substrate to hide in and they're all set. It's just the kind of simple existence you'd expect from a quill pen. Not like those obnoxious fountain pens. Pah! Actually they do have one extravagance, or at least some do. 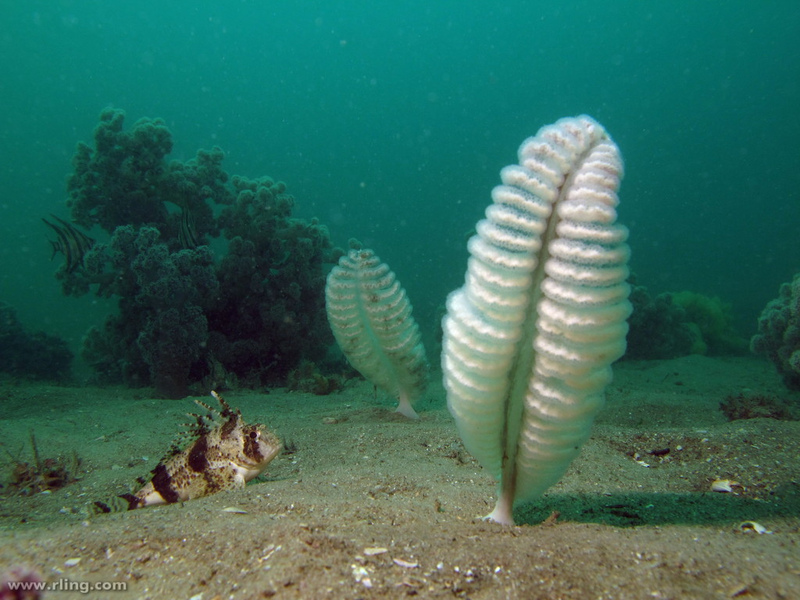 Sea Pens can be bioluminescent. They light up when they get interfered with, demonstrating their anger by becoming pretty. They can also pull themselves right out of the substrate and wriggle away to find a better place to stay. Such exertions are not required for mating. As you'd expect, they simply release their stuff into the sea without a second thought. They're very ascetic like that. some like quill pens and some like queen anne's lace. pretty!